Relationship rescue - are you "Getting the Love you Want"? There are times even in good relationships when partners feel alone, unsupported or unloved. When the romance fades, often even minor differences become the sources of frustration and conflict. Imago Relationship Therapy can help you to understand why these differences are a natural part of what originally attracted you to each other in the first place. 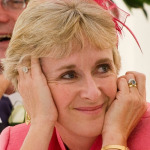 Imago Relationship Therapy was created and pioneered by Dr Harville Hendrix* (author of the best selling book, Getting the Love you Want) and is based on teaching couples to communicate in a safe, respectful and effective way about things that really matter, to help them gain a more supportive, loving and deeply satisfying relationship. The Imago model weaves practical observation on the experience of love with leading psychological theories and explains why we choose our partners, why and how break ups and divorces happen. Imago Relationship Therapy helps you to break those patterns and heal relationships even if they seem to be long past repair. You may find hope to restore your relationship, not just understand how it fell apart. You may learn to discover the roots of some of your relationship problems and gain greater insight. By attentive listening and being deeply heard in an emotionally safe environment you may find surprising answers to age old conflicts, and find tools to understand yourself as well as your partner, and from that, start to resolve long standing problems and get below the surface topics to deal with underlying issues. In additional to helping couples learn the one skill they need to create an amazing relationship, you will also be helped to rekindle romance, passion and fun. If you feel your relationship could be better and long to re-experience joy and aliveness, I invite you to consider Imago Relationship counselling.